Weaving as a sustainable practice can be rewarding and fun; meditation in the act of making. The woven cloth can be used in practical or decorative application and you can always count on weaving becoming a part of your artistic self-expression. 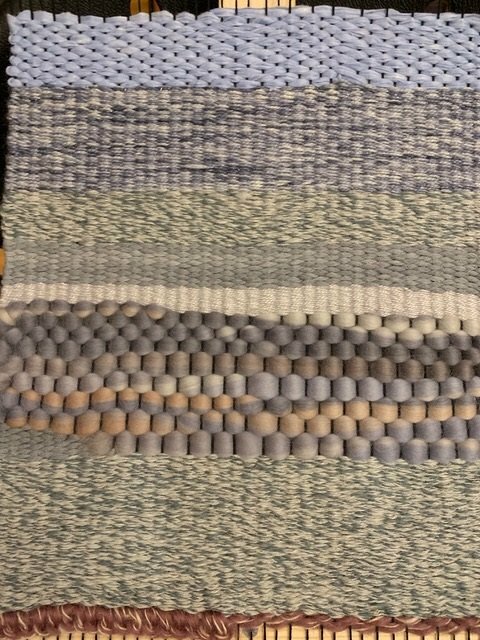 In this workshop, we explore weaving with typical and atypical fibers to create textures and interest in your work. My hope is that you will want to include bits of denim which will be provided by Maday. You will be rewarded with a fabric swatch completed entirely by you using a high quality loom by Purl & Loop that you will take home to use again & again, loom size is 13"x 18". All supplies are included but feel free to bring bits of fiber; yarn, etc. from your own stash to include if you desire.